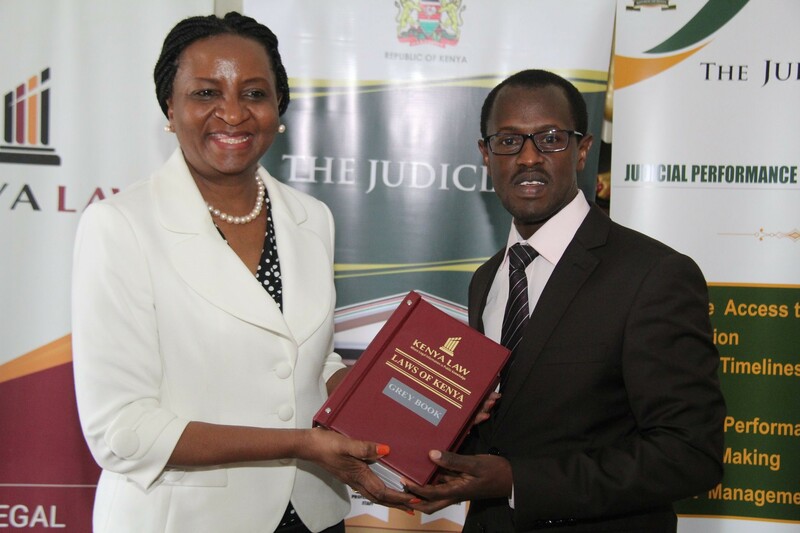 National Council for Law Reporting (Kenya Law) CEO Mr. Long’et Terer handed over a total of 620 Grey books to the Chief Registrar of the Judiciary, Hon. Ann Amadi for use by all judicial officers. 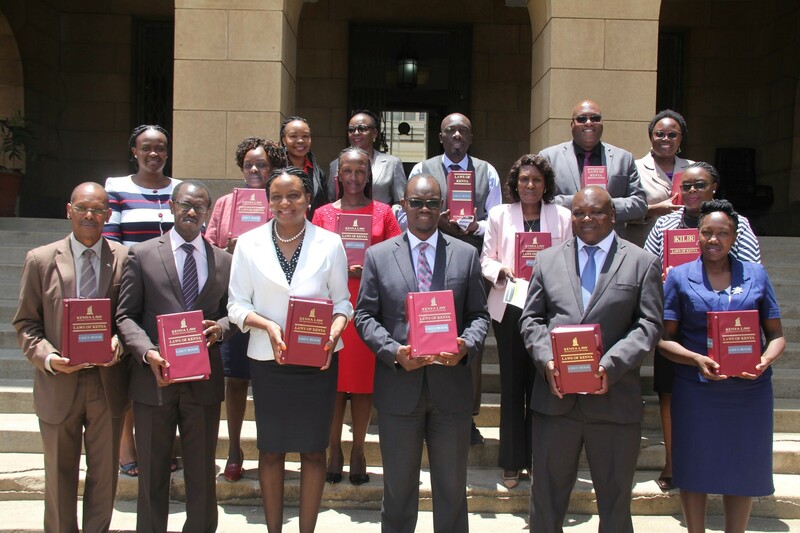 The event which took place at the Chief Registrar’s lobby on 7th September 2018, saw registrars and librarians from the Judiciary receive copies for the various Courts. Hon. Amadi commended Kenya Law for the tremendous effort adding that the Updated 2017 Grey Book would be important resource for judicial officers. .
Mr. Terer appreciated the Judiciary’s support and promised to deliver complimentary copies of the service issues whenever there are amendments to the Law. “The book is a quick reference for the officers and Kenya Law will continue partnering with the Judiciary so as to facilitate the efficient delivery of justice.” Said Mr. Terer. The updated 2017 Grey book contains a compilation of 15 Acts of Parliament governing the substance and procedural matters commonly arising in criminal and civil litigation. It is published in loose-leaf format and bound in a spring-loaded hard cover which makes it easy to update. 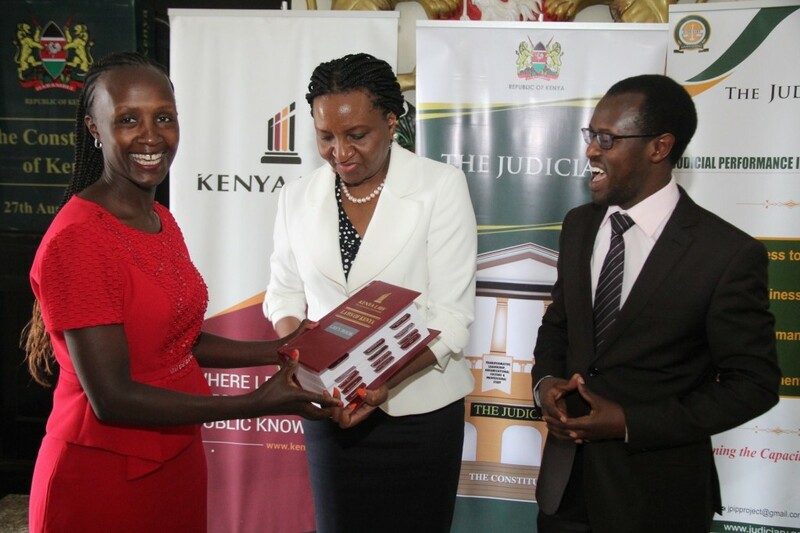 The books were published by the Laws of Kenya department at Kenya Law, with the support of the Judiciary Performance Improvement Project (JPIP), a World Bank-funded Project. JPIP was represented by the programmes Communication Consultant, Mr Simani, who also doubled up as the Masters of Ceremonies at the event. Mr. Simani lauded Kenya Law for being one of the implementing units under JPIP with a high absorption rate of donor funds. He also noted that JPIP plans to support the Kenya Law in this financial year to ensure that there is increased access to Courts and legal Information.